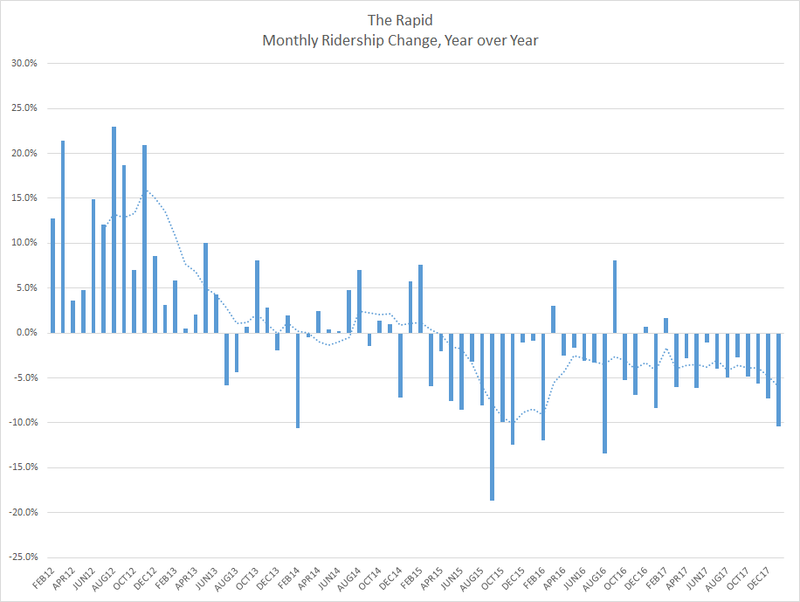 Updated monthly with data from the National Transit Database, as reported by The Rapid. NEW! Monthly ridership numbers are now being published for all transit agencies at the new National Transit Database web site. View The Rapid’s ridership.